Thread Forming Screws have a unique tri-lobular shape that forms a mating thread in an unthreaded pilot hole. The threads are work hardened as they are formed, providing a strong joint or assembly. The excess metal fills in behind the tri-lobular lobes to provide maximum contact and a secure assembly. The tri-lobular shape of the screw shank reduces friction during driving to assure low driving torque and also generates a prevailing torque that exceeds the level of a locking screw. The interference fit provides resistance to vibrational loosening. 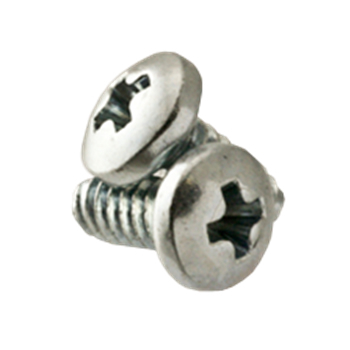 Currently stocking Phil Pan and Hex Washer Head Taptite Equivalent Thread Forming Screws. Plastite equivalents to arrive in our Online Store soon. In the mean time, shoot us a quick-quote for any plastite equivalent thread forming screws you may need a quote on.